Our tenants will experience a sense of stability knowing that we not only own, but manage and maintain our properties, There is little outsourcing, Our entire team is committed to meeting our tenants' needs.We would welcome the opportunity to earn your trust and deliver you the best service in the industry. Our latest acquisition! A more than 200 units property in a hotel style set up.In the heart of Bradenton, located on US 41, on the bus route. Mostly studios, and some one bedroom. Amenities include pool, laundry, security cameras, night security, on site maintenance staff. Month to month rental. An eighty-eight unit apartment complex . Great location! Minutes from Sarasota/Bradenton Airport, New College, Ringling School of Art, and University of South Florida. Swimming pool. On site management.Security cameras. Night patrol. All two bedroom/one bath apartments, recently remodeled. A peaceful, gated community of town homes and villas, in green surroundings. Minutes from Sarasota/Bradenton airport. Short distance from nationally renowned Colleges and Museum. Choose from either a two bedroom-two bath or two bedroom-one and half bath. One Bedroom Apartments, in quiet surroundings. 36 Apartments built in a serene wooded area. All recently renovated. Close to the Bradenton Mall. A family oriented community. 1 and 2 bedrooms of various sizes available. Efficiencies and One Bedroom Apartments Quaint Spanish architecture styled building. Each unit with two entrances, and a view on the inner courtyard. A registered historic building located in beautiful downtown Sarasota. Choose from either a one or two bedroom apartment. 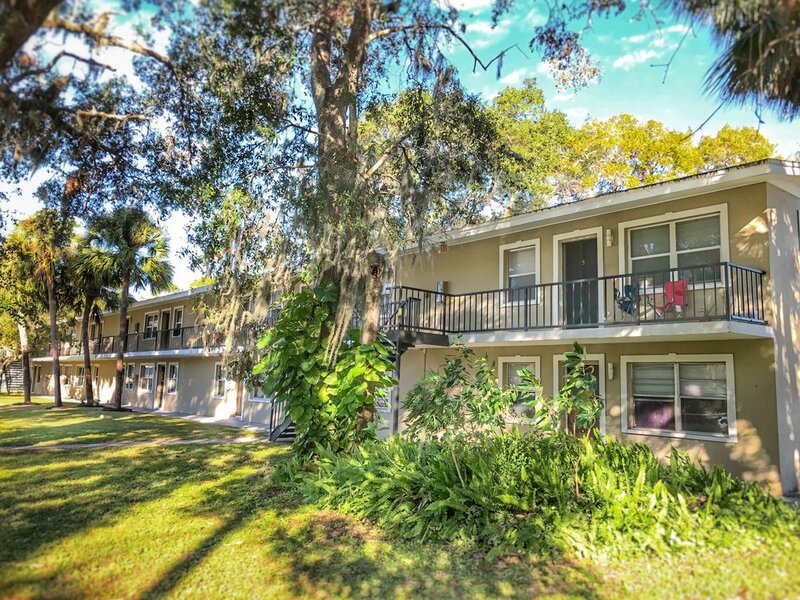 A small, welcoming apartment complex in a convenient location, within walking distance to the Ringling College of Art and Design. All efficiencies, with cooking facilities. Live in a peaceful, tropical atmosphere! A one hundred Seventeen unit complex Half mile distance to the Sarasota Campus of University of South Florida and New College. Just Half mile from the Ringling College of Art. A peaceful, welcoming community awaits you at the newly renovated Backlot Apartments. With a calm community and numerous amenities and still within the Disney district, enjoy great nearby cuisine and the tropical Florida lifestyle.